i may be new to this forum, but i'm not new to A/V electronics. 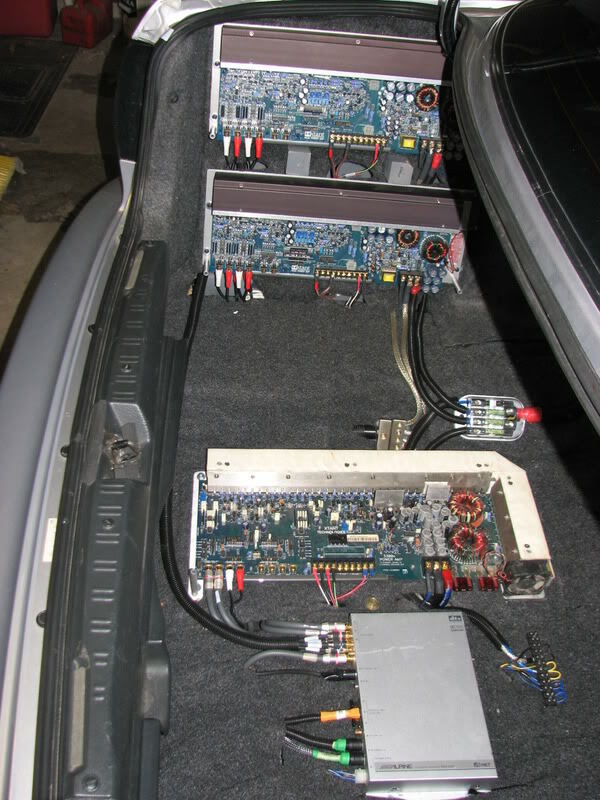 2007 Locations - one xtant 403A and Audio Control EQL on a board behind the rear seat, sub(s) in enclosures in trunk behind it. I liked how the amp was very safe, but there wasn't enough room for a second amp. 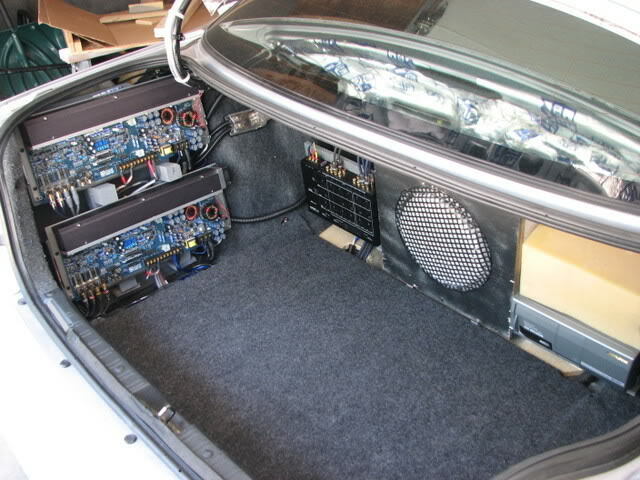 2008 Locations - two xtant 403A on drivers side storage, 12" sub, changer, ERA-G320 processor brain, crossover under rear deck. This work really well, but i removed everything when i was going to sell the car, returned it to stock. Current Locations - two xtant 403A same as before, another 3300X and H701 brain in spare tire well. Now i'm keeping it. 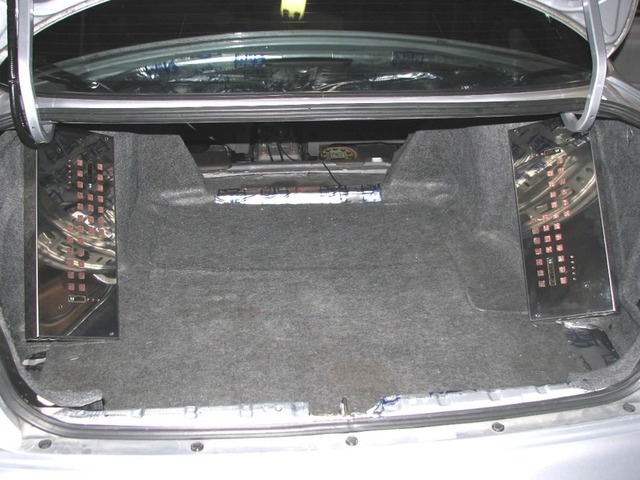 Trunk is 1/3 done, still need to fabricate the rest of it to accommodate one or two Oz 300H IB subs. 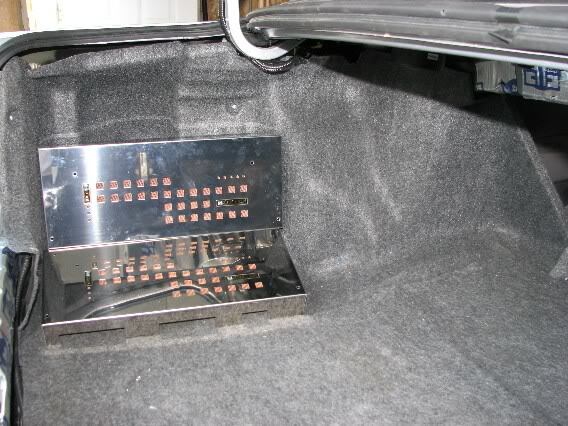 The covers need a fingerprint cleaning A false floor hides the spare tire well and eventually the side amps will bet trimmed out like above. Also, wire management is temporary, it will be much better once i make custom RCA's and finalize all routing. 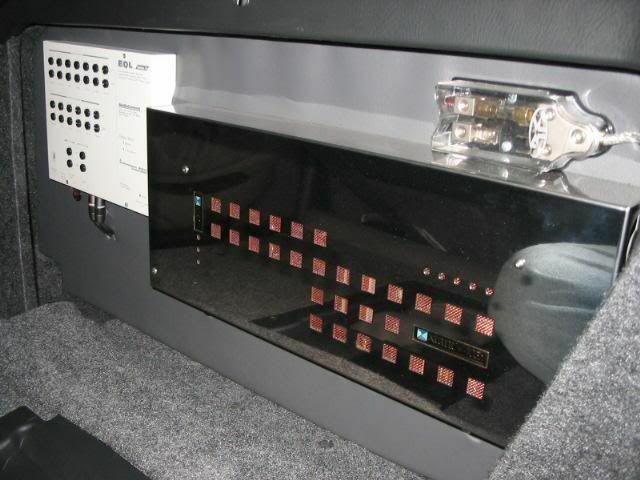 However, notice how well separated everything is - power, speaker, RCA. 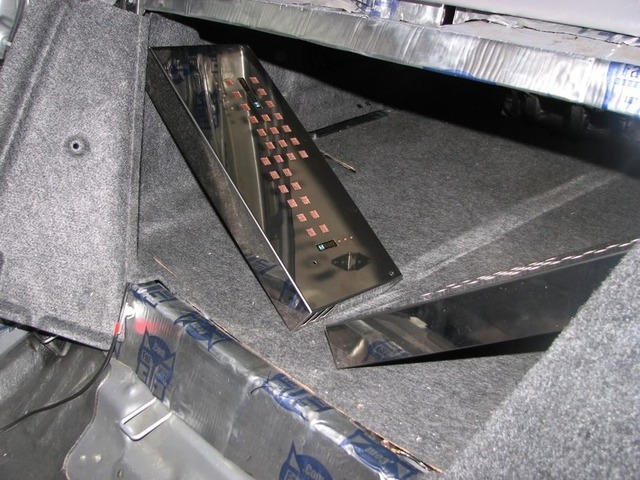 Power/remote on drivers side (high opening at C-pillar), speaker wires on passenger side (low by seat), signal cables on passenger side (high opening at C-pillar). 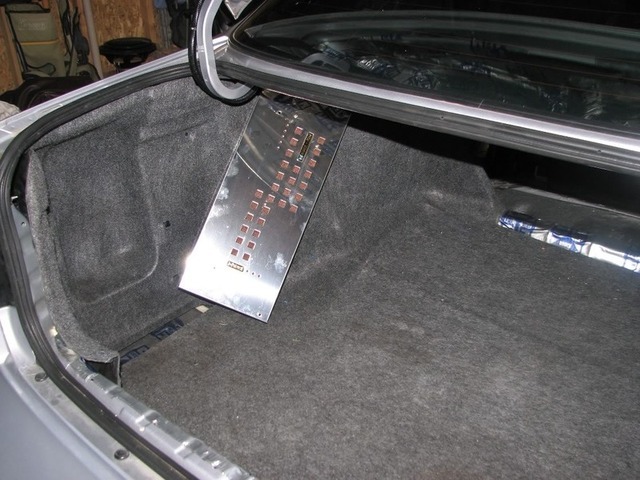 Again, detailed build pics, including amp rack construction, are on SoundDomain. Last edited by keep_hope_alive; 12-28-2009 at 10:19 PM. I spend most of my time at SoundDomain assisting others with mobile audio needs. 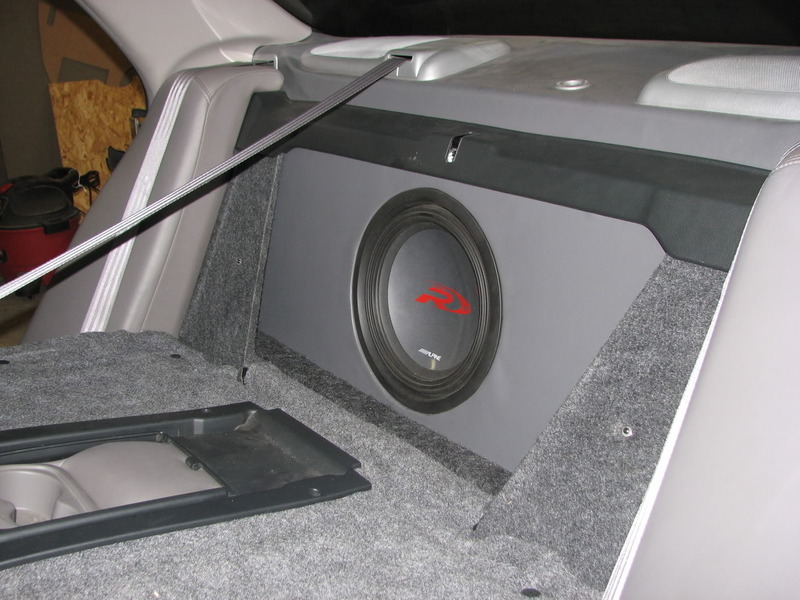 I've tore my 2001 Accord EXV6 down many times, all for the pursuit of a better sound stage. I'm very close now. I have an Electrical Engineering degree (circuit design and power) that I now use as an Acoustics Engineer. I love my job and just about everything I do. I'm here to help the electrical sections, maybe learn some tuning tricks. Thanks. Xtant can be had for a song nowadays. gotta love the specs on them (pre Mitek). While some hate the SIPS for crossover adjustments, I run them active now and just bypass the onboard crossovers. I love separate input sensitivity and output gain adjustments (i haven't seen any other amps with both), love the fan cooled heat sink channels, and the cosmetics are nice. Having to remove small allen head bolts to adjust anything is a bit of a hassle, but worth it. when the install is completed, it should look fairly nice. If the OP is looking for other ideas on amp locations, the best thing to do is experiment. I did mock ups of half a dozen amp locations before i settled on the side. 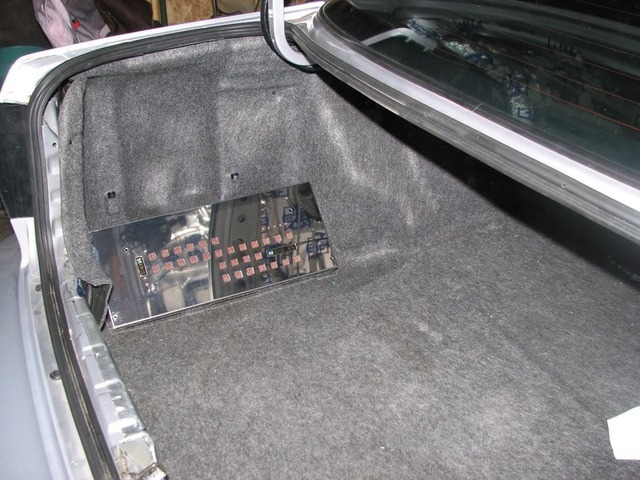 That location has the down side of being exposed to the elements when the trunk is open. Otherwise, it's very handy. Super, Super looking job he has there , don't you think ! Other amp locations tested - for reference (these come in large on my screen but should be sized 800x600). What sounds are you into??? I have have my 6-CD OEM head unit with an iPod adapter. 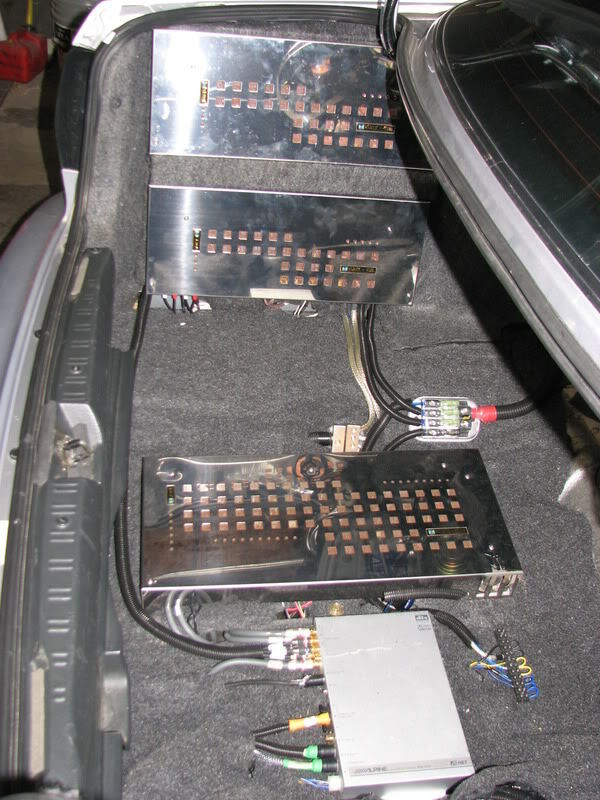 A Cleansweep and a JL 4x45W Amp. 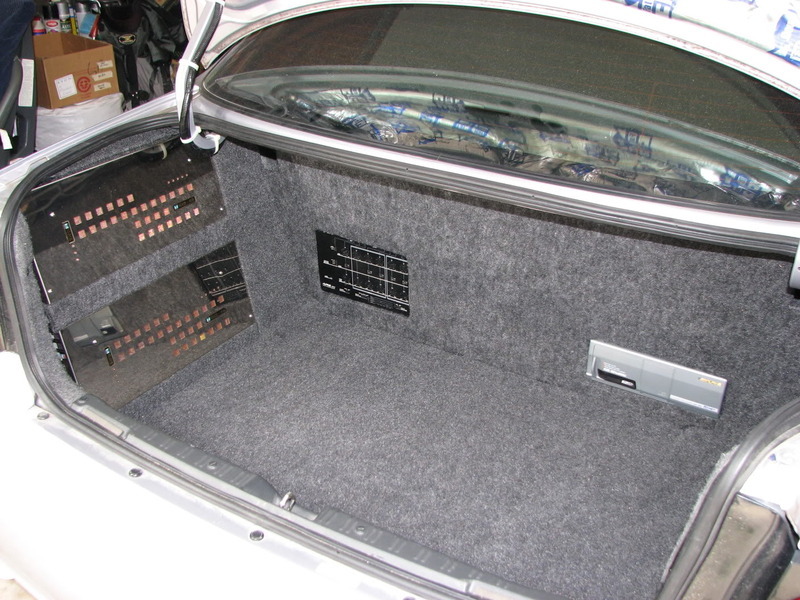 Infinity 3-way 6x9's in the rear deck and Infinity 5.25" components with Tweets in the doors up front. 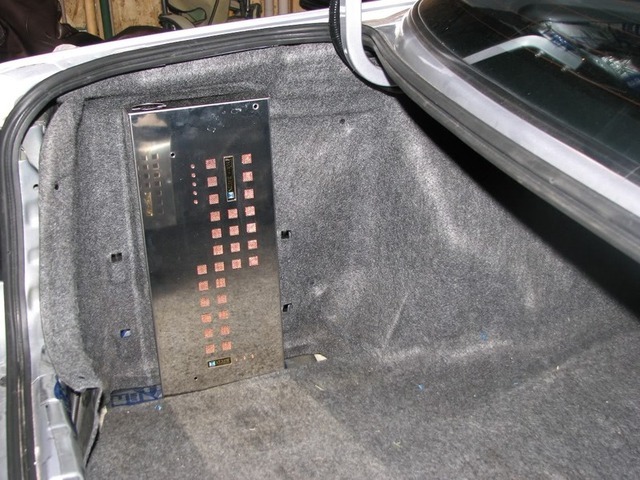 Isolated the trunk and read deck with studio type foam stuck on with industrial velcro and did the front doors with 1/4" bubble covered with foil stuck on with 3M contact adhesive. ignore the mp3 setting on the HU. that HU is long gone. In it's place is a HU without mp3 capability for increased sound quality. i don't listen to any mp3's in this car anymore. i can hear the difference between compressed music and not. my Build Log in my sig has the most recent layout. It's sounding great. the sound stage is coming along nicely - speaker placement is so important. my efforts were worth it. i listen to a wide variety of music. from classic rock to new rock, to metal, to electronica, to jazz, etc. i'll demo or evaluate with reference material like classical or jazz. right now, Bad Boy Bill is in the player. Before that was Hendrix, then Manson, then Rage Against the Machine. Everything sounds good. i've looked at your pictures on sound domain, and its very impressive. 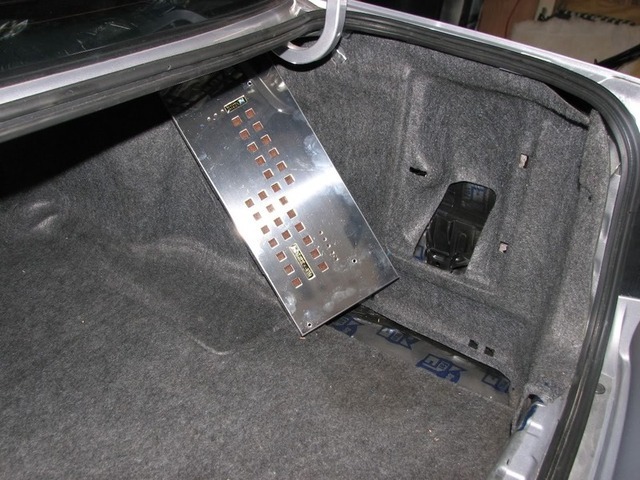 my only question i have is that with the tweeters on the a-pillars, and the midbass on the floor directed at the center with the midranges tucked up as they are, shouldn't the midbass and the midrange locations be reversed since midrange is very directional? Aren't you loosing alot of the sound from those? i've been looking to change my system a little by rebuilding the kicks to bring the midranges forward a little and placing the tweeters up on the pillars or dash. good question, one i get a lot. First some terms – IID (inter-aural intensity delay), and ITD (inter-aural time delay). my locations were the result of testing as well as looking at similar configurations from successful systems by competitors. tweeters in the apillars - off axis, raise stage height, and with IID being dominate above 4kHz, their ITD is not as important. 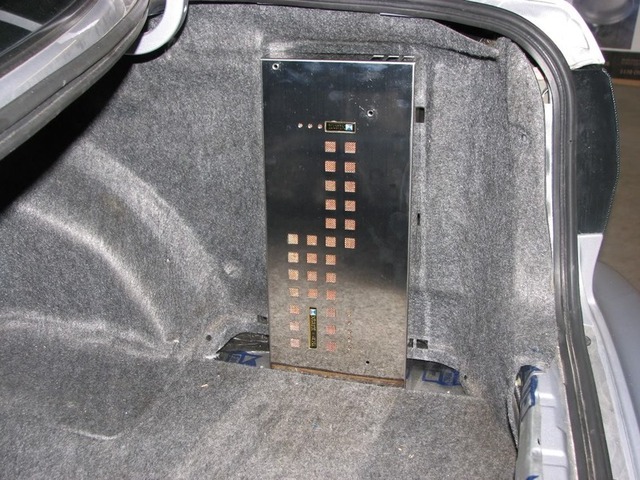 The higher crossover point (5kHz) reduces issues with the drivers being separated. midbass - volume and venting was key to success. also, this can be a 2-way system so having the midbass on axis was desired. venting was best achieved in the floor. plus, i was able to maintain a flush apperance - no space lost. Here ITD is important so path lengths are best made as close as possible. midrange - this location is counter to popular beliefs. since the cone is smaller, beaming happens at a higher frequency. Off axis response is key, absorption in the foot well and under dash are important, and IID and ITD is share importance relative to frequency. I wanted the midrange and midbass as close as possible. But midrange frequencies are certainly NOT directional. I can turn a speaker away from me and still hear midrange and upper midrange just fine. 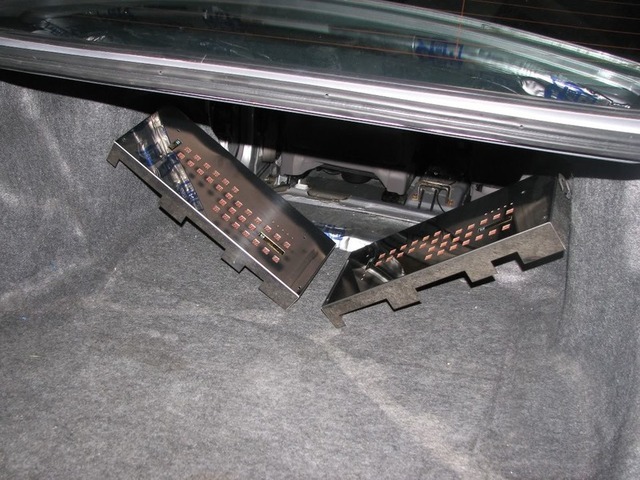 Sound waves wrap around obstacles, I can hear the mids just fine from either seat. I have the mids on the rear output, so my HU fader allows me to easily listen to mids only or midbass and tweeters only, or both. Obviously, the H701 gives much more control. 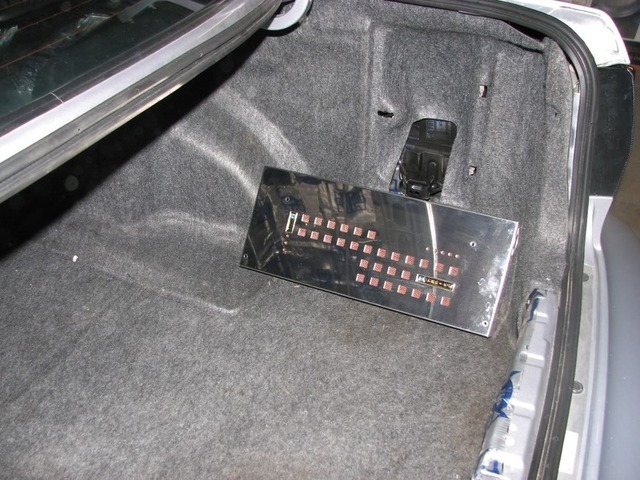 Most systems use speakers in the doors, firing at your ankles, and you still hear midrange and upper midrange just fine. The difference here is that they are farther away so the ITD is closer. As a 2-way, the sound stage is a bit better. As a 3-way the tonality is a bit better. I want a 2 seat car, i.e. I want a sound stage in both seats. I have that now, but a lot more tuning is required to be worthy of competition. I could tune for a 1 seat car easily and be dead on with either setup. I like flexibility, and this system has it. Last edited by keep_hope_alive; 03-09-2010 at 01:14 PM.